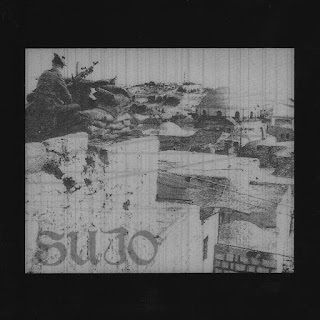 Sujo are a band from Dartmouth, Massachusetts that plays a mixture of drone, noise, and shoegaze and this is a review of their 2017 album "A Deeper Curse" which was released by Inam Records. Avant garde soundscapes start off t he album along with some touches of ambient and after awhile elements of drone and noise are added onto the recording while the heavier sections of t he songs are done in more of an atmospheric post metal style that is also heavily influenced by shoegze. A decent amount of post black metal influence can be heard in the bands musical style while most of the tracks are instrumental and the songs also bring in a great amount of variety and the last track is very long and epic in length. In my opinion Sujo are a very great sounding mixture of drone, experimental, noise and shoegaze and if you are a fan of those musical genres, you should check out this band. RECOMMENDED TRACKS INCLUDE "War Of the Underground" and "A Deeper Curse". 8 out of 10.